ACS - Applied Computer Science And Cyber Security Team - (ACS + ACS = 2 * ACS = acs.ase.ro) is formed by some members of the "IT & Computer Science" groups from the Department of Economic Informatics and Cybernetics (dice.ase.ro), of the Faculty of Cybernetics, Statistics and Economic Informatics (csie.ase.ro) from Bucharest University of Economic Studies (www.ase.ro). Assoc. 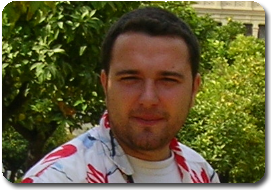 Prof. Catalin BOJA Ph.D. is a member of Department of Economic Informatics and Cybernetics / Computer Science Department, Faculty of C.S.I.E/C.S.E.I, @ The Bucharest University of Economic Studies, Romania. Starting with October 2011, he is the Head of the D.I.C.E / D.E.I.C, and in April 2008 he has received, from the Academy of Economic Studies of Bucharest, his Ph.D. diploma in the Cybernetics and Statistics field with a paper on Software Optimization. In 2004, he has gratuated from the Informatics Project Management Master program, organized by the Academy of Economic Studies of Bucharest. He is a team member in various undergoing university research projects where he applied most of his project management knowledge. Also he has received a type D IPMA certification in project management from Romanian Project Management Association which is partner of the IPMA organization. He is the author of more than 60 journal articles and scientific presentations at national and international conferences. His work focuses on the analysis of data structures, assembler, high level programming languages and improvement of software applications performance. Assoc. 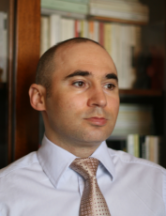 Prof. Cristian CIUREA, Ph.D. is a member of Department of Economic Informatics and Cybernetics - D.I.C.E/D.E.I.C / Computer Science Department, Faculty of C.S.I.E/C.S.E.I, @ The Bucharest University of Economic Studies, Romania. He has graduated the Faculty of Economic Cybernetics, Statistics and Informatics from the Bucharest Academy of Economic Studies in 2007. He was valedictorian and he obtained a “Leonardo da Vinci” scholarship and then a PhD scholarship. He has a master in Informatics Project Management (2010) and a PhD in Economic Informatics (2011) from the Academy of Economic Studies. Cristian CIUREA has a solid background in computer science and is interested in collaborative systems related issues. Other fields of interest include software metrics, data structures, object oriented programming, windows applications programming, mobile devices programming and testing process automation for software quality assurance. He worked over 5 years in the banking system and he has an “XBRL Financial Reporting Specialist” certification. Also, he was a Java trainer within AQademy and Qualitance. Cristian CIUREA was a member of Institute of Electrical and Electronics Engineers (IEEE). He is the author of 1 book and more than 60 journal articles and scientific presentations at national and international conferences. Also, he was member in the research project “Methodologies for project management of mobile applications designed for educational system”, project code IDEI2637. Assoc. Prof. Mihai DOINEA, PhD. is a member of Department of Economic Informatics and Cybernetics - D.I.C.E/D.E.I.C / Computer Science Department, Faculty of C.S.I.E/C.S.E.I, @ The Bucharest University of Economic Studies (UES), Romania. M. Doinea has been awarded with a PhD in the field of Economic Informatics, from The Bucharest University of Economic Studies (UES), Bucharest, Romania (2011). His PhD thesis tackles security optimization methods in the field of distributed applications. His entire research is focused on security topics, backed up by a master diploma in Computer Science Security (2008). Doinea started his professional career at UES (2007), where he completed the entire educational track. 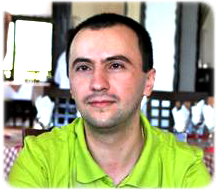 Between 2013 and 2015, Doinea was affiliated with the Romania Academy from which he obtained a post-PhD scholarship in the field of Information Security. He is an associated professor at UES, teaching Data Structures, Advanced Programming Languages, Devices and Mobile Applications and Object Oriented Programming. He published more many articles in collaboration or as a single author and his research interests are directed to areas such as computer security, mobile technologies, machine learning and vision algorithms. Assoc. Prof. Marius POPA Ph.D. is a member of Department of Economic Informatics and Cybernetics - D.I.C.E/D.E.I.C / Computer Science Department, Faculty of C.S.I.E/C.S.E.I, @ The Bucharest University of Economic Studies, Romania. In November 2005 he has received, from the Academy of Economic Studies of Bucharest, his PhD diploma in the Cybernetics and Statistics field with a paper on Data Quality. In 2003, he has finished the Master program Information Systems for Management organized by the Academy of Economic Studies of Bucharest. He is the author and co-author of books, articles and papers presented and published in journals and proceedings of national and international conferences, symposiums and workshops, research and management stages organized in Australia, Austria, Bulgaria, Germany, Ireland, Italy, Republic of Moldavia, Norway, Portugal, Romania, Turkey, United Kingdom and United States of America. He is certified as project manager IPMA Level D, Certified Project Management Associate by Romanian Project Management Association which is partner of the IPMA organization. He has been involved as project manager or research team member in research projects on various topics. Also, he holds more awards and diplomas for his research activity. His work focuses on the Data Quality, Software Quality, Informatics Security, IT Audit, Collaborative Information Systems, IT Project Management, Software Engineering. Assoc. Prof. Cristian TOMA Ph.D. is a member of Department of Economic Informatics and Cybernetics - D.I.C.E/D.E.I.C / Computer Science Department, Faculty of Cybernetics, Statistics and Economic Informatics - C.S.I.E/C.S.E.I @ The Bucharest University of Economic Studies, Romania. He has graduated from the Faculty of Cybernetics, Statistics and Economic Informatics, Economic Informatics specialization, within Academy of Economic Studies Bucharest in 2003. He has graduated from the BRIE master program in 2005, with 24 months scholarship and 7 moths practical stage at University of Bremen, Germany and PhD stage in 2008. He was SA - Solution Architect & SDE - Software Development Engineer consultant @ RADCOM company since 2003 to 2014 and now is SW Dev Engineer @ Oracle / Sun since 2014. Starting with May 2014, he has joined Oracle / Sun Microsystems within Java Card and Internet of Things organization/department and is member of Global Platform consortium, therefore he is involved in the development team for various secure solutions for EMV - Payment, the Java Card Reference Implementation and IoT - Internet of Things. He is the author and co-author of books, papers and proceedings of international conferences, symposiums and workshops, organized in Austria, Germany, Italy, Romania, Turkey, United Kingdom and United States of America. His work focuses on the Software architectures and design patterns, IoT - Internet of Things application development and Crypto Blockchain, eMbedded and Mobile applications development/computing, Cloud / Distributed and Parallel computing/HPC - High Performance Computing and HTC - High Throughput Computing, Smart cards programming, e-payment Solutions, Network app security, Computer anti-viruses and viruses, Secure web technologies, and computational cryptography - Cyber Security. Assist. Prof. Claudiu VINTE Ph.D. is a member of Department of Economic Informatics and Cybernetics - D.I.C.E/D.E.I.C / Computer Science Department, Faculty of C.S.I.E/C.S.E.I, @ The Bucharest University of Economic Studies, Romania. Claudiu graduated in 1994 The Faculty of Cybernetics, Statistics and Economic Informatics, Department of Economic Informatics, within The Bucharest University of Economic Studies, with the leading overall average of 9.91/10. 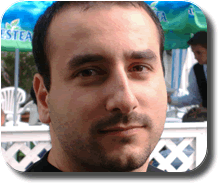 Claudiu holds a PhD in Economics from The Bucharest University of Economic Studies. His domains of interest and research include combinatorial algorithms, design patterns, SOA design and metrics, middleware components, algorithmic trading and web technologies for equity markets analysis. Claudiu has over fifteen years of experience in the design and implementation of software for equity trading systems and automatic trade processing. In April 2007 Claudiu co-founded Opteamsys Solutions, a software provider in the field of securities trading technology and equity markets analysis tools. Previously, he was for over six years with Goldman Sachs in Tokyo, Japan, as Senior Analyst within the Trading Technology Department. In March 2006, Goldman Sachs acknowledged the importance of the integer allocation algorithm created by Claudiu, and filed in his name a patent application for Methods and apparatus for optimizing the distribution of trading executions with the US Patent Office (USPTO Application 20060224495 and 20120317012). Claudiu's expertise in trading technologies also includes working in Tokyo with Fusion System Japan, and Simplex Risk Management as Software Engineer, and Senior Software Engineer, respectively. ASETS - an academic trading simulation platform: www.bursa.ase.ro. Our research has been directed toward conceiving an academic trading environment that would create the opportunity for students to study in details the investor's needs from an electronic trading platform, the components of a trading system and their functionality in a straight through processing approach, and the trading strategies that can be implemented to corroborate models for automated (algorithmic) trading.